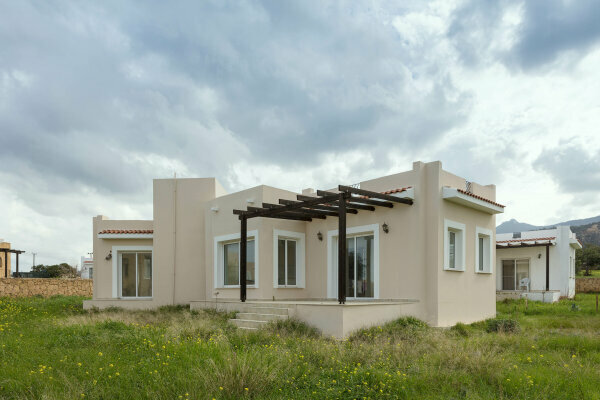 These ready to move in three-bedroom villas with land plot of 550 m2 are for sale at a record low price for Northern Cyprus. The villas have a nice garden and a roof terrace. An amazing view of mountains and sea is guaranteed. There are five villas available in the compound for the same recordly low price. four spacious rooms, private parking. Quiet location, close to one of the main roads of the island, which allows you to easily and comfortably reach any place in North Cyprus. Mediterranean Sea from the one side and mountain range on the other. Complex of villas is half an hour drive away from the city of Kyrenia, one of the most developed cities of North Cyprus.